Following in the footsteps of Project Wadi Attir, The Lab’s groundbreaking dryland agriculture and community development project with a Bedouin community in Israel’s Negev Desert, we are exploring the possibility of a new, significant development project: Project Turquoise Mountain. 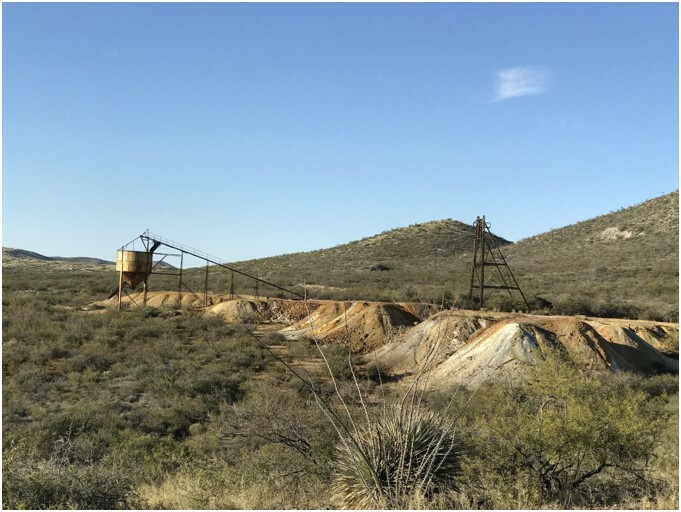 Project Turquoise Mountain is a proposed innovative approach to mine remediation and ecosystem restoration in Gleeson, Arizona, a remote area that contains a slew of long-abandoned mine shafts, tailings, and associated contamination. The Lab is currently collaborating with the owner of the site of these abandoned mines, with the intention of launching a model project that would showcase the application of sustainability principles to the vexing problem of mine remediation. As a first step, we engaged with a group of students at the Arizona-based ECOSA Institute, who developed a preliminary project concept. This work was led by ECOSA director Tony Brown and other faculty, and with guidance from Lab founder Michael Ben-Eli. Although Gleeson is currently a ghost town, it was originally inhabited by the Chiricahua Apache Native Americans. The land was dubbed “Turquoise Mountain”, due to the prevalence of the mineral throughout the region. In 1900, John Gleeson arrived in the area and opened the Copper Belle mine, with many other nearby mines soon to follow. The main minerals that were mined during this time were copper, lead, silver, and gold. Mining operations continued in full force until the years following World War I, when the price of copper dropped. The miners eventually left Gleeson, lured to other sites in the region with better conditions and infrastructure, and by 1957 all mines in Gleeson had closed. Gleeson became a ghost town, and today it is a site along the Arizona Ghost Town Trail. 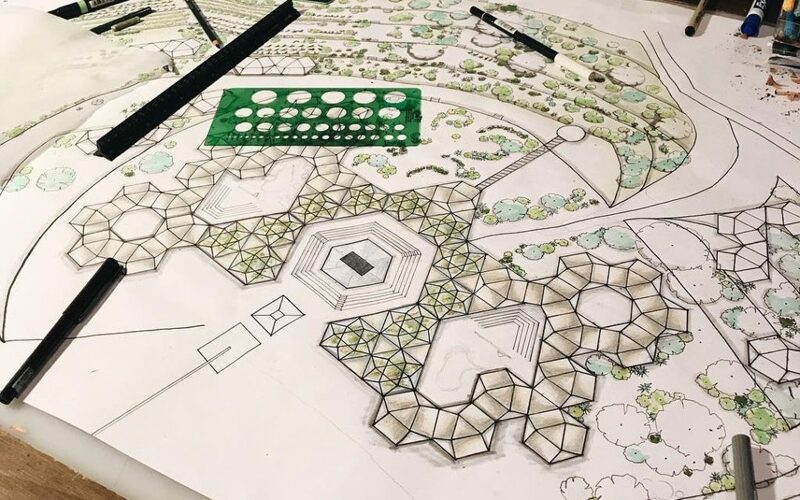 The ECOSA students conducted substantial research about the site, its history, and current conditions, and developed two alternative design proposals for the site. The proposed project would showcase the rich history of the region, while incorporating innovative approaches to mine remediation and ecosystem restoration that turn a toxic site into a thriving ecosystem and multi-use oasis. 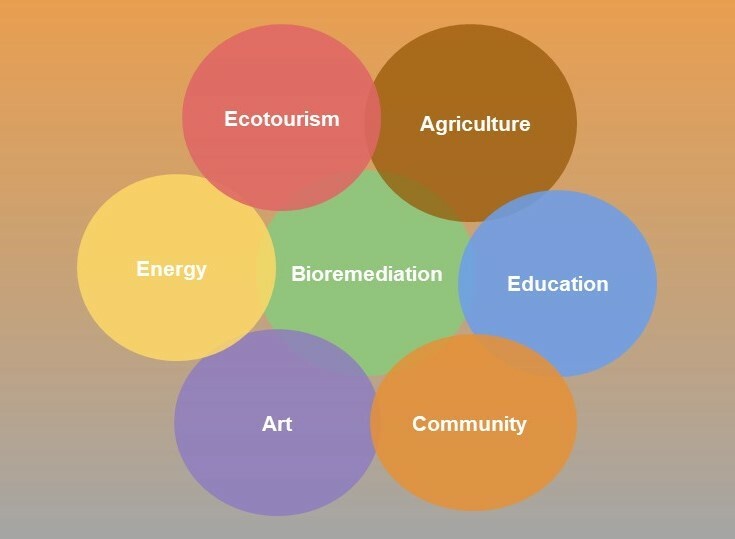 Underlying these plans are The Lab’s five core principles of sustainability, which will provide a guiding framework for developing the project. We look forward to these preliminary steps maturing into a full-blown project, and will continue working to bring Project Turquoise Mountain to fruition. To learn more, please feel free to contact us at admin[at]sustainabilitylabs[dot]org. As a non-profit organization, The Sustainability Laboratory relies on contributions from individuals, corporations, and foundations to make our work in sustainability innovations possible.